As of 2010, the human race is planning to hurl four of its members across interplanetary space in the hope that they don’t miss the orbit of our closest neighbour. This plan has made very real the possibility of inhabiting a world with no literary heritage. Moreover, the ticket to Mars is one way, so, while opening a book might not be the first activity on landing (an honour probably reserved for figuring out how to breathe), our fellow interstellar nihilists will be going nowhere anytime soon. So, other than listening to my tent-mate from Yorkshire complain that instant tea is still better with Northern water, what would be my company for the long and tedious years on Mars? Probably a book whose protagonists are also in it for the long haul on a foreign and hostile piece of rock in the back arse of nowhere. Finding adequate tea-water might not be such a chore on an English owned estate in wartime rural Ireland. 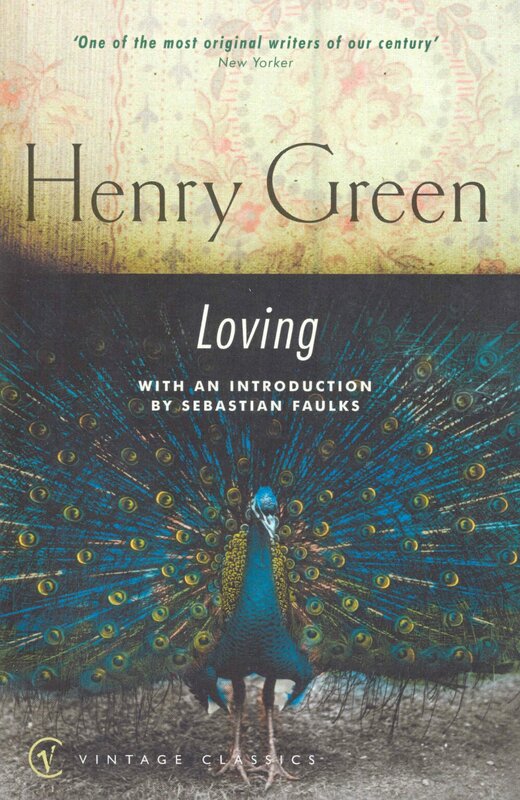 However, the feelings of isolation and anxiety faced by its occupants in Henry Green’s novel Loving certainly resonate with my imagined space-self. Loving is one of those books in which nothing really happens. In that way, it’s kind of like watching Big Brother. There’s no action or plot that drives the novel. Come to think of it, the only thing that really changes during reading is the page number. Still though, you bloody well read it. Unlike Big Brother – which has quite rightly been relegated to the trashcan of television, Channel 5 – the gossip and intrigues in Loving are captivating. The novel tracks the lives below stairs in a house, without those above. This lack of authority and Green’s manipulation of character phobias creates a sealed vacuum. Under pressure, with the constant sense of absurd fear towards the IRA and Nazis pressing in from the outside, the relationships inside flare up and break down at an ever-increasing rate. All of this while the servants dutifully maintain the house and the hierarchy within it. I’m not going to say anything about the ending. Suffice it to say that when I finished the book, I threw it across the room, which, in the weightless surroundings of Mars One could actually be quite amusing. Ben Price currently studies History of Art and Architecture at Trinity College Dublin. Any perception of him as a morning person is entirely based on a heinous caffeine addiction. He cooks a fine roast dinner, helped by a kitchen soundtrack of hip hop (you can’t make proper gravy without help from Biggie) and snow won’t stop him from attempting to BBQ. I read this article and found it very interesting, thought it might be something for you. The article is called Loving – #newworldnovel and is located at http://prancingthroughlife.com/2014/03/12/loving-newworldnovel/.